Save the Date for My Upcoming Pollinator Garden Program at the Sawyer Free Library! Please join me April 6th at 7pm at the Sawyer Free Library where I will be giving my Pollinator Garden program and screening several short films. This event is free and open to the public. I am looking forward to presenting this program at our wonderful Sawyer Free and hope to see you there!! 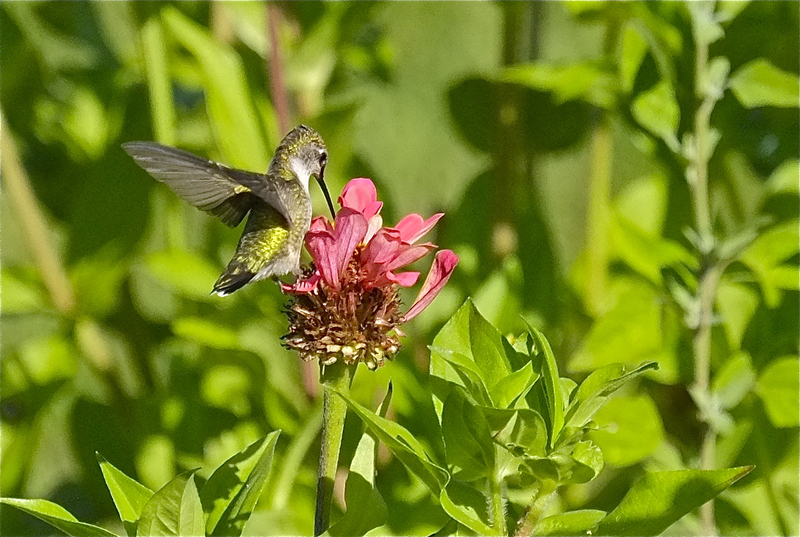 Female Ruby-throated hummingbird and zinnia – ornithophily is the pollination of flowering plants by birds. They carry off the pollen on their heads and neck to the next flower they visit. This newly eclosed Monarch is clinging to its chrysalis case. 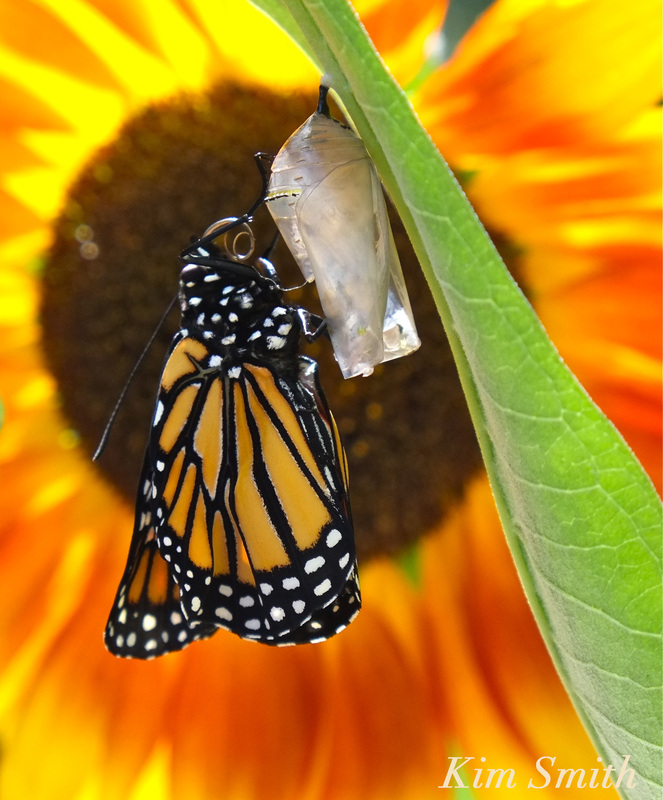 Within moments of emerging, the two-part Monarch proboscis must zip together to form a siphoning tube. If the two parts do not join, the butterfly will not be able to drink nectar. In this photo, you can see the proboscis is not yet fully zipped. This entry was posted in Gloucester Massachusetts, Lepidoptera and tagged Black Swallowtail Butterfly, conservation filmmaker, conservation speaker Kim Smith Massachusetts, conservation speaker New England, Marsh Milkweed, Monarch butterfly, ORNITHOPHILY, pollinator garden lecture, Sawyer Free Library, sunflopwer, sunflower, The Pollinator Garden, Zinnia on March 7, 2017 by Kim Smith.